Record Company – Dan Gibson Productions Ltd. 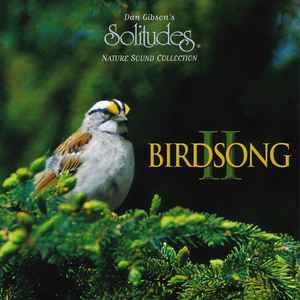 Copyright (c) – Solitudes Ltd.
Phonographic Copyright (p) – Solitudes Ltd.
'Follow an easy flowing stream into the heart of the forest and discover the magical melodies of over 30 songbirds. Presented in surround sound, Dan Gibson's superb digital field recordings reveal a tranquil world of warblers, thrushes, sparrows and many other delightful species'. This album previously released as 'Songbirds by the Stream'.